May is National Preservation Month. Here's where to go in Dallas to conserve, restore, or find your favorite treasures. 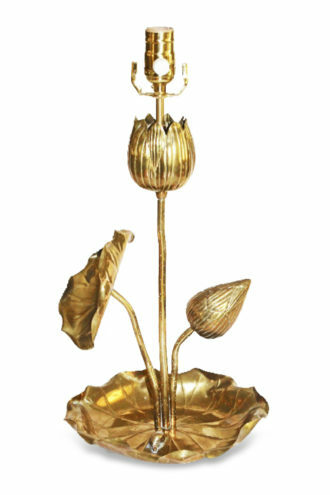 Trust your precious metals with the craftsmen at Noles-Davis antique restoration. Sixty years ago—long before co-working, telecommuting, startups, and dot-coms entered the business vernacular—there was a man and his business. Clyde Noles Plating Co. was established in 1957 at 4636 Maple Avenue. In 1965, Clyde moved the business to 2711 Manor Way and was joined in 1966 by his son-in-law, Buddy Davis. And there it has remained as Dallas’ go-to spot for metal restoration, nurtured by four generations of the Noles-Davis family. Now known as Noles-Davis Antique Restoration, the business has come a long way “from a little-bitty one-man operation,” explains Buddy, 83, who, with his wife, Betty, 82, still comes to work six days a week. The workshop will restore any metal, from flatware that needs a polish before a holiday meal and an ornate tea set to a crystal chandelier and brass bed. Services include plating, polishing, lacquering, finishing, and lamp wiring. In addition to Buddy and Betty, with 51 and 60 years of service respectively, there’s daughter, Gina Cerrato, 33 years of service, and her son, James McCarter, with 16 years under his belt. 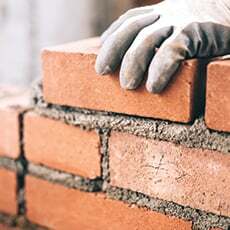 Four skilled craftsmen with experience at the company ranging from 20 to 37 years handle the jobs. Even with today’s less formal entertaining, there’s still a need for Noles-Davis’ services. Prefer Nambé to Reed & Barton? No problem. The use of tea sets may have tapered off, but there are plenty of alloys, oil-rubbed bronze, satin nickel, and pewter to shine and polish good as new. Where to shop, restore, and design lighting. Our favorite shop for grab and go lamps has to be Arteriors Too. Though they carry all sorts of home goods, we love the Arteriors outlet for lighting—eclectic table and floor lamps, pendants, sconces, and chandeliers. If custom lamps are what you seek, look no further. They typically can transform a family heirloom in 30 days. 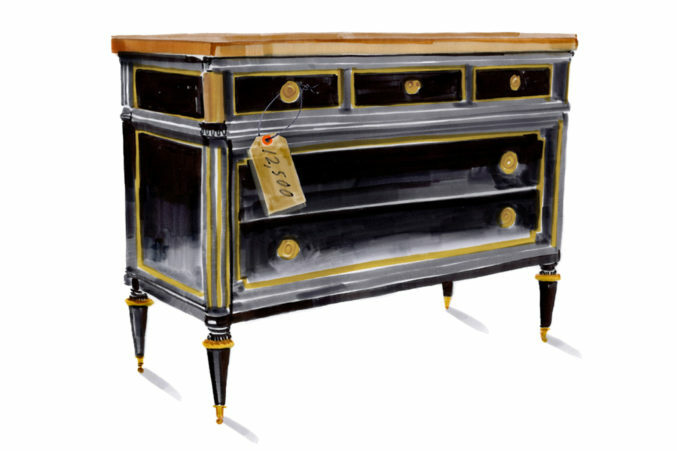 If you’re just looking to freshen up a piece, check out their finial selections. This Design District favorite is the place to go if you’re looking to have a lamp made—they specialize in “custom lampistry,” as it were. If you don’t have an item you’d like to fashion into a lamp, stroll through their selection of pottery, clayware, and fabric to get inspired. This furniture and accessories showroom will take in your existing chandelier to have it “redressed” with a new finish and sparkling, new crystals. Go here to get your ticker fixed. Clock repair is an Old World skill—meaning it’s getting harder to find true experts in the field. 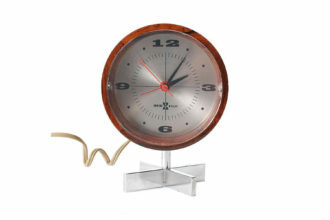 Our favorite consignment shops recommend Homestead Clocks for true artisanship. Stephen Newsom carries on the tradition started by his father, Rex Newsom, in 1950. 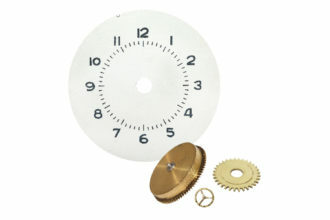 It started with grandfather, mantel, and wall clocks, but today, they will restore your family heirloom or perform regular, preventive maintenance on your new clock (every three to four years is recommended). Repair estimates are free. Shuford is the director of fine jewels with the auction gallery and president of gallery appraisal services. If you’re planning on selling an item at auction, your auction estimate is free. But if you need an appraisal, there are a few different types. Let’s say a family member died and you are handling the estate. You need a “fair market value” appraisal. That’s the type the IRS will need on file. But let’s say your insurance company has requested an appraisal—that’s a “replacement cost appraisal.” If you’re just plain curious what your item is worth, that’s “restrictive use appraisal” (which Dallas Auction Gallery Appraisal Services doesn’t do). “The paperwork you go through is much different for fair market value and replacement value than restrictive use,” Shuford adds. For an auction estimate, a photo is usually enough for Shuford to come up with a dollar amount. But for appraisals, a personal inspection takes place. For both, Shuford needs any documentation you have—receipts, prior appraisals, etc. Then she gets you an estimate of how long the appraisal will take. “For art, the authentication process can be time-consuming,” she says. We tested five silver polishes. 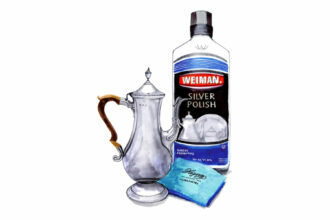 Weiman Silver Polish ($5.30 at Central Market) was by far our favorite. It’ll take some time and elbow grease—there’s no applicator included, so BYO towel—but even the most stubborn pieces were restored to a beautiful sheen. Apply a dime-sized amount of this lotion-consistency solution, and get to buffing. This is a national search engine, which you can narrow down to Dallas/Fort Worth/Arlington. Search estate sales (naturally), auctions, and other liquidations. Husband-and-wife team Terry Lee Bordelon and Fred Demetrovich started this site to help spread the word for local enthusiasts like themselves. The Old Home Supply has grown into four warehouses in Fort Worth’s Fairmount National Historic District over the past 25 years. It started when Ralph Watterson bought every salvageable door and piece of hardware from the original Tarrant County Courthouse. Today, he sells sinks, bathtubs, doors, trellises, shiplap, and all sorts of architecturally significant finds. “There’s nothing else I would rather do,” he says. 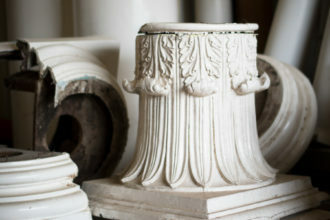 Put some history in your home with finds from these salvage shops. 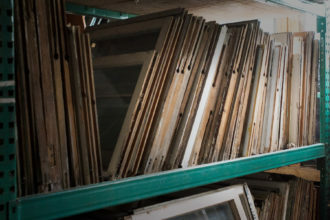 Since its original owners, Charles Orr and James Reed, first started their demolition company in 1946, they’ve offered reclaimed pieces from some of Dallas’ finest homes back to the public and quickly became the go-to salvage yard (with some of the best prices) for handymen and architects alike. In 2003, Raymond Pittet opened Pittet Architecturals, a 40,000-square-foot showroom on Cole Street, and filled it with imported handcarved mantels, fountains, sinks, doors, and reclaimed oak and stone floors from the Mediterranean coastline. For fans of more exotic architectural elements, Art of Old India has provided Dallas dwellers with temple doors, intricately carved ceiling panels, rich tapestries, and other Asian antiques from India, Turkey, and Afghanistan since the travel-loving Pankaj Dalal began his business in 1974. Reclaimed hardwood is the business’ bread and butter, but the installation of the wood with a high-end oil finish separates the Slocum Street showroom from the pack. In addition to flooring, gorgeous examples of oak, maple, chestnut, cherry, and walnut can be found throughout the 7,000-square-foot showroom in the form of cutting boards, mantels, doors, tables, and more. 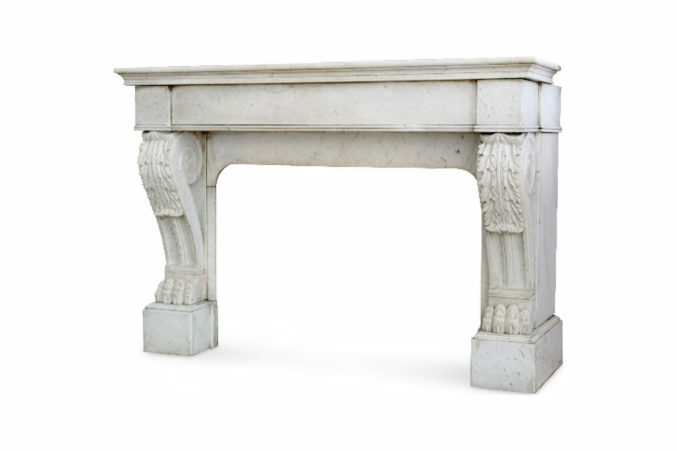 When Raymond Pittet opened an antiques store on Slocum Street in 1990, he never expected to become an authority on European architectural elements, but it all started with an antique limestone mantel he installed in the shop—and then it sold within a week. Though they sell many other salvage items, Pittet and his crew still believe in the magic of the mantel. “There is something deep in the human spirit that is drawn to gather around a fireplace. Whether for warmth, for family celebrations, or as a place for quiet reflection, there is no mistaking the importance of incorporating one or more authentic stone fireplaces to enhance your home’s functionality and design,” he says. 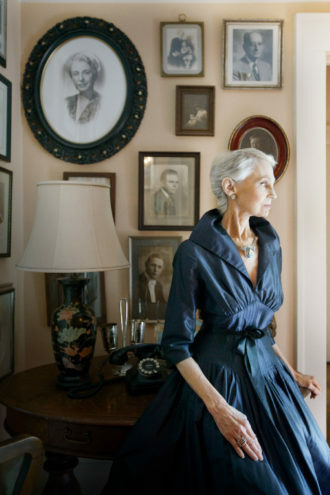 Virginia McAlester’s Swiss Avenue home has been in her family since 1921. It’s a 1917 Mission with wire-cut bricks and a Vermont slate roof. In the 1960s, she fought against zoning changes along Gaston Avenue that led to the construction of apartments where single-family houses once stood. McAlester lived in a series of six houses on Swiss Avenue as her parents bought and restored them. And then, in 1972, the mother, daughter, and nine other visionaries together founded the Historic Preservation League (which later became Preservation Dallas). By the following year, the group had convinced the city council to adopt the Dallas Preservation Ordinance. Swiss Avenue was the first Landmark District. Today the city has 21 such protected neighborhoods, and McAlester has authored a book entitled A Field Guide to American Houses: The Definitive Guide to Identifying and Understanding America’s Domestic Architecture.